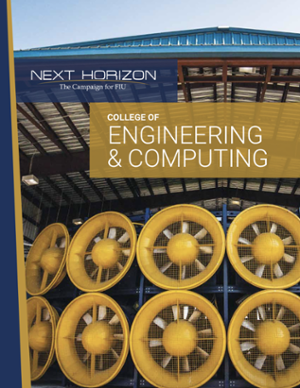 Higher education is the engine that powers great cities. 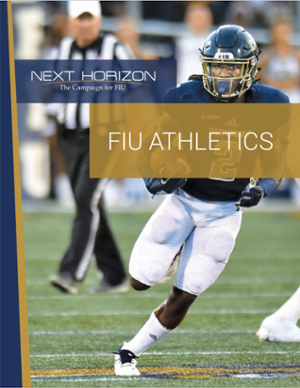 FIU is Miami's powerhouse. 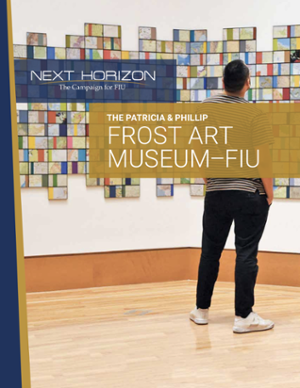 Since our founding, FIU has been deeply invested in our community. 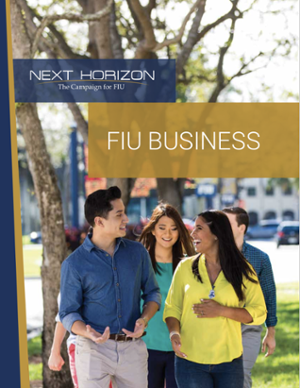 FIU has risen to national prominence, and we are the destination for students from the region and are increasingly the top choice for students from around the world. 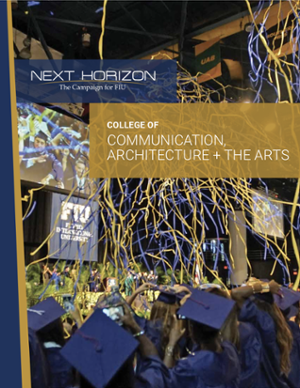 More high-achieving students from South Florida are choosing FIU over other colleges in the nation. 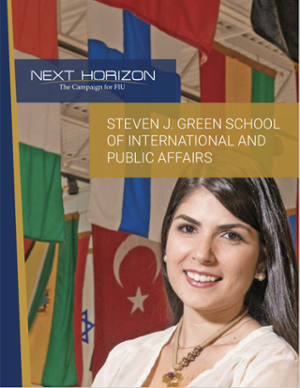 To these students, FIU is a place near home where they can expand their horizons, working alongside gifted faculty and students from around the world. 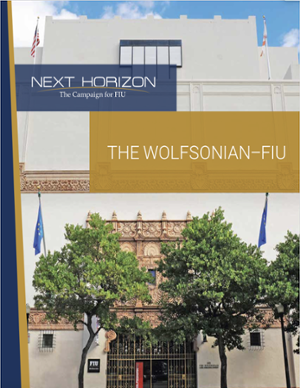 FIU is a driver of the cultural vibrancy of this city, from the cutting-edge Wolfsonian–FIU in the Art Deco District to the Jewish Museum of Florida–FIU and the Patricia & Phillip Frost Art Museum. 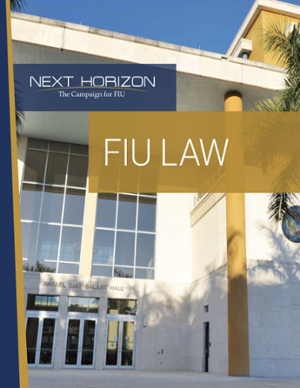 Our Miami location and our long-standing research relationships in Central America, South America, and the Caribbean position FIU as the gateway to understanding and engaging with the Americas. 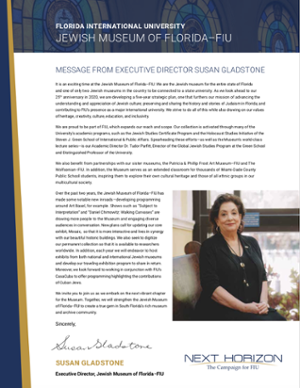 No institution is better poised to advance our understanding of the health, economics, politics, and culture of this region. 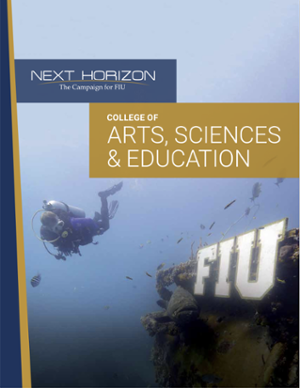 An investment in FIU is an investment the future. 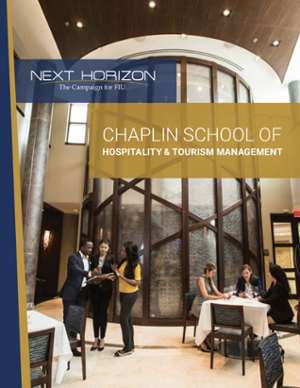 We take a small-college approach to a big-university education, creating personal roadmaps for every student. 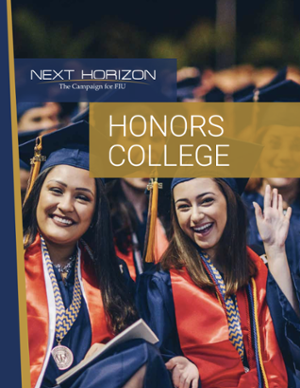 We do this by using technology and dedicated advisors to keep students on the path to a four-year graduation and moving seamlessly into their careers or on to graduate school. We do this by proactively identifying roadblocks and helping students remove them so that they can stay on track. 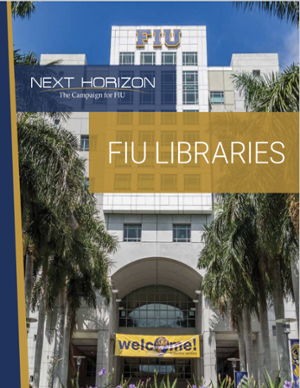 FIU is strategically positioned to advance the most innovative and practical solutions to many of society’s toughest challenges. These solutions, in turn, hold promise to become models for the rest of the country and the world. 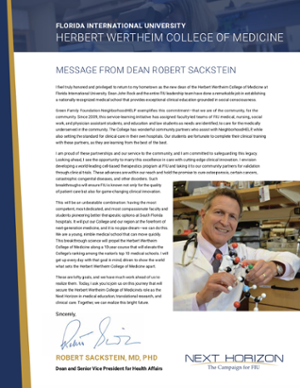 Your support will advance research at FIU in significant ways, allowing us to attract the best minds and emerging industries.